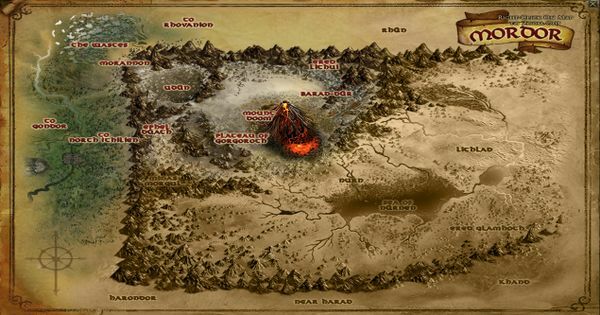 I’m a little sad that I haven’t delved into The Lord of the Rings Online‘s Mordor expansion yet. In fact, I never even completed the previous few updates’ worth of content, and my captain is currently sitting in Minas Tirith at level 101 – probably in that one tavern with the three nobles who send him all around the city on one fool’s errand after another. When I do log in, I often spend more time revisiting old zones than delving into new content. 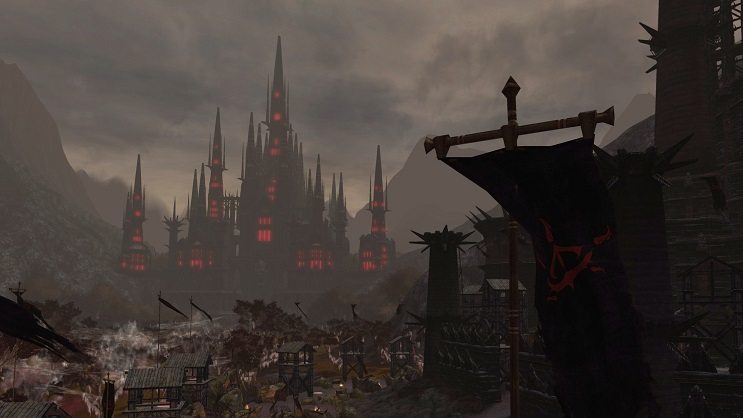 The places and NPCs stir fond memories of my past 10 years in LOTRO, and the music no less so. Yes, I’m one of those people who still listen to in-game music the 328th time I go through a zone, and I’d put LOTRO’s up against pretty much any MMO’s soundtrack. That makes me even more sad that I haven’t visited Mordor and had a chance to experience the world through Standing Stone Games’ eyes and composer Chance Thomas’ ears. Thomas and his recording studio HUGEsound set me up with a copy of the Mordor soundtrack, which released yesterday, and I gave it a listen, to see if it could stir up that same level of emotion I’d get when experiencing the full world of LOTRO. To be sure, the experience felt incomplete, though that’s not the fault of the music. Not being able to link the music to visuals or in-game adventures, as I could with previous LOTRO soundtracks, diminished the overall scope. But a few tracks did break through, allowing me to craft appropriate surroundings in my mind and stir the proper emotions in my heart. Now I’ll probably be disappointed if I come to their locations in-game and they don’t live up to the expectations set by the music! The titling of the tracks helps a lot in my linking them to events from Lord of the Rings. “After The Fall” is no exception. Taken on its own, it’s a typically slow and moody piece, but knowing that it’s meant to represent the end of Sauron’s reign gives it additional meaning. I can visualize it being played over the ruins of Barad-dur and wish I was there to kick the rubble myself. With all the “dark, darker, and darkest” music of Mordor, it’s nice to have an optimistic track in the bunch. Again, it’s easy to visualize the coronation theme from The Return of the King as Aragorn assumes his destiny as King of Gondor. Callbacks to previous musical themes from LOTRO’s earlier days make it feel like a triumph for the players, too. Ever since the opening of Skyrim, I’ve been a sucker for deep-voiced male choruses, and “Chant For Sauron” scratches that itch nicely. It shifts to higher pitches in the middle section, before going back to its roots, lending the whole thing a kind of eerie quality that makes you wonder … is Sauron really defeated? Like, are we sure? All the above tracks are slower-paced compositions, so I thought I should include something “fast.” “Unleash Terror” certainly fits that bill, sounding like it’s played over a battle or chase scene, and I’m a sucker for that frantic riff that plays throughout. You can purchase the Mordor Soundtrack, either individual tracks or as a whole, from the HUGEsound website.